- And any other action that the partners will be willing to share. 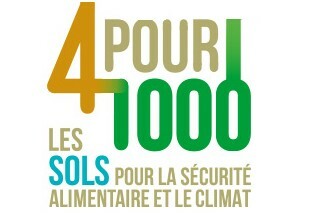 Launched by France on December 1st, 2015 at the COP21, the "4 per 1000" Initiative is part of the Global Climate Action Plan (GCAA) adopted by the United Nations Framework Convention on Climate Change (UNFCCC) at COP22. The "4 per 1000" Initiative contributes to the goal of achieving a world that is neutral in terms of land degradation.